Albert ‘Bert’ James Ward was born in 1889 at Tenterfield NSW son of Thomas Ward, and Ellen nee Myers. On 21 December 1921 he married Elsie Mary Burreston at St Johns Bishopthorpe, Glebe. There was a daughter and a son of the marriage. He died at Redfern NSW on 18 October 1980, aged 91 years. Elsie Ward died at Glebe on 28 June 1960, 72 years. Bert Ward worked as a school teacher, and was an active member of the NSW Teachers Federation. A country boy, he moved to Redfern where he met his future wife, a telephonist. He lived at 183 St Johns Road from 1930 and 214 St Johns Road, Forest Lodge from 1936 to 1976. Ward shared the position of Deputy Mayor with Jim Diver between 1926 and 1929. As Mayor in 1931 Ward presented a balanced budget to Council, and despite the factionalism he was re-elected in 1932 and 1934 under the banner of Lang Labor, and as Foley Labor in 1937. He was expelled from the party in 1939 for voting for work to be performed by contract instead of day labour, contrary to Labor policy. Ward was a patron of Glebe Rowing Club, a vice-president of Glebe District Cricket Club and presided over theAnzac Day memorial service at Glebe Soldiers Memorial in 1931. 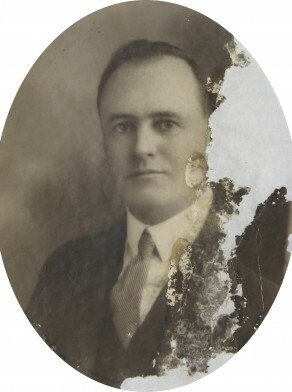 Albert Ward was secretary of the Glebe Labour League, and Deputy Mayor in 1928 and sought preselection for the Federal seat of West Sydney in 1928, and lodged a protest in 1929 against irregularities and impersonation at West Sydney poll. Ward presided over the opening of a soup kitchen at Glebe on 1 June 1931, borne by Glebe Unemployed Relief Fund, and as mayor was involved in protests against Scullin’s pension cuts.